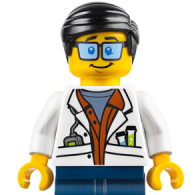 Having said that, I find nothing more frustrating than reading a user ‘review’ on Brickset (or anywhere) that spends 4/5th of the text going into minute detail on every aspect of the minifigures, then quickly mentions right at the end that there was some Lego included and the build ‘was great’. There are YouTube reviewers with a similar, and equally irritating approach - people for whom the minifigures included are the be all and end all of a set, and it’s simply not a viewpoint I have any particular understanding of. Most in-house reviews of sets containing minifigures on Brickset follow a similar pattern - minifigures are nearly always discussed first, followed by the build. Although it tends to be about 50:50 minifigures:build for most sets. Most user reviews just follow that pattern. The same is true for most reviews elsewhere too, I guess it is what people want. So I guess I am one of the people that has no use for a Minifigure unless it comes with a build, why I am not sure. For me, the fact that CMF come without a build and were really quite random subjects was a great selling point when the series first started. I used them to inspire 8x8 stud vignettes. For every figure up to series 8, I built something I probably would never have thought of building if I didn't have the figure. ...How is that a problem, exactly? There is an essential difference between trading cards and minifigures. The first ones could exist per se, whereas, in my opinion, minifigures are, or should be, ontologically connected to their sets. Of course there are people who like collecting dolls or puppets, but Lego should be something else, something more, a way to carve using plastic. Minifigures, although well designed, are premade items and they should not represent the center of the attention in the creative process. That is why I cannot understand neither the craze about collecting them nor how could it be even possible to waste money without being able to see what it is purchased. Finally, if this mania have created speculators who remove minifigures from their sets - a monstruosity which ruins the conception behind the product - then many Lego fans should do some soul-searching. I'm gonna say it again: The biggest problem with the minifig craze in my view is that LEGO are all too willing to feed the frenzy because it makes them tons of ca$h. Can you blame a company for doing business thanks to customers who are willing to spend money? There is an essential difference between trading cards and minifigures. The first ones could exist per se, whereas, in my opinion, minifigures are, or should be, ontologically connected to their sets. Plus saying a figure should be connected to the set it came with implies that the set cannot become anything else. And isn't the joy of LEGO that it built in a completely different way to the instructions to create something else. So yeah, I guess they aren't really "over rated" but more "over priced". But there are lots of cases when rather unneeded minifigures are thrown into sets to increase their value. Like, Howgarts Castle for example. It's a mini-scale build, it has micro figures, yet they still trew in a bunch of exclusive minifigures to make the set more attractive, when they were unneeded in reality. I bet there was at least someone out there who bought that entire set for the minifigures mostly. I understand the that minifigures are likeable and a lot of people love them, but I don't like how LEGO trows in desirable minifigures in not very disareble sets. I don't think they are overpriced either. They may be expensive compared to other parts, but market forces means that they find their own price. They sell for what people are willing to pay. Your Hogwarts example - that is a flagship set aimed at adults / late teens. LEGO try to put something special into such UCS-style sets, to use the Star Wars language. I doubt most kids would care about having the Founders, so it makes sense to put them into an adult oriented set, where they are likely to be appreciated. I imagine most people that bought Hogwarts actually bought it for the Castle and not just the minifigures, but no doubt there is at least one person that bought it for the minifigures. Although you can buy the figures for about $60 for the four on the secondary market, so it would make sense to buy them that way if you only wanted them and not the set. But that again is the good thing about different people wanting different things. I know people that wanted the castle and have sold off the figures. They get a discount on the set as someone else wants the bits they don't want. Like, Howgarts Castle for example. It's a mini-scale build, it has micro figures, yet they still trew in a bunch of exclusive minifigures to make the set more attractive, when they were unneeded in reality. ...but then again, we return to the original point: Are minifigs needed at all in many sets and if so, how many of them? In this particular case I think it's utterly a moot point. People who have that kind of money won't make much of it either way and others can only be frustrated onlookers that have to buy the figs from the secondary markets. This set is insofar not relevant to the discussion even as the value of the minifigs really represents just a tiny fraction of the whole. If you were to make a point, the smaller HP sets would be a better example or for that matter e.g. 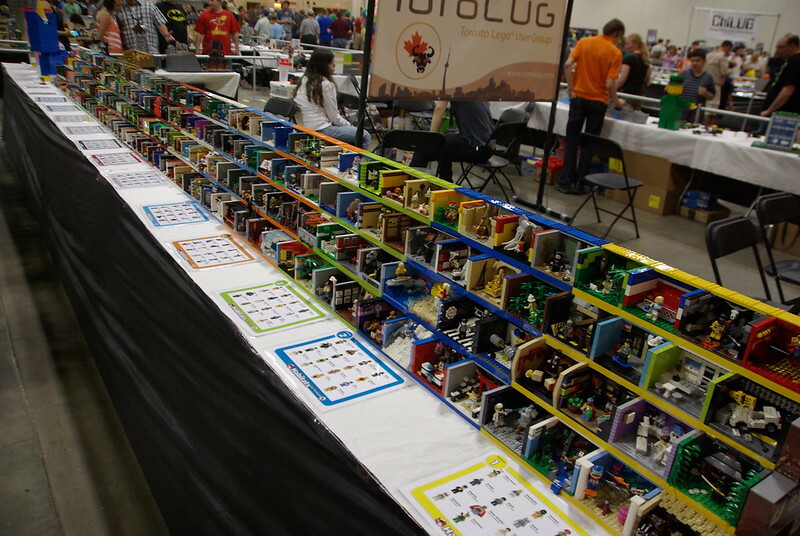 some Ninjago sets that are stuffed to the brim with figs. Whatever they're doing seems to work on this group of crazy minifigure collecting adults. ...but then again, a lot of times it's just "standard" faces like the infamous angry clone face in Star Wars. And to be honest, I can't really see the value in having mutliple variants of emotional states on the same figures. As I wrote further above - kids probably don't even care or have difficulty to swap out heads or even rotate them, so to me this is another thing solely catering to collectors. Say what you will, but I don't think the minifigure stuff is in any way driven by their actual play value. I appreciate that LEGO are of course putting some thought into this, but more or less in many cases it seems a pointless exercise. That and of course it still seems a cheap and lazy way to make more money. You know, modifying one of those print templates in some cases literally probably takes ten minutes. It's not about the cost of "modifying a print template", it's about the logistical cost of introducing new elements willy-nilly. LEGO isn't going to make alternate minifig and mini-doll heads in kid-targeted themes if kids aren't going to care about those differences. And the cost of introducing a new printed element in terms of production space/time, warehouse space, inventory management, etc. is the same whether it's conspicuously different from existing printed elements or not. Unlike AFOL-created sites like BrickLink, on which minifigures with even slight differences tend to get entirely separate listings, LEGO never makes any noticeable effort to promote or advertise the fact that the Batman minifigures in 70900, 70901, 70905, and 70915 are at all different. Many people probably wouldn't notice they have different facial expressions until they own two or more of those figures. Especially with double-sided heads being as common as they are, you almost always have to look at multiple pictures of each set to know for sure that the different facial expressions in the main catalog images or on the front of the boxes aren't just on opposite sides of the same head piece, and most kids aren't going to be bringing their physical minifigures into stores with them to compare them against the boxes for the sets they don't yet own. But a kid who likes the LEGO Batman Movie theme is inevitably going to end up with multiple Batman minifigures in his default costume, and these variants are a great way to make that feel at least a little bit more worthwhile to them. On a side note, I suspect the variant facial expressions that appear in the LEGO movie themes in particular are somewhat intended as a means of paying tribute to and supporting the BrickFilming tradition that inspired the style of these movies in the first place. Back in the day of smiley-faces-without-exception, Brickfilmers who wanted their characters to show emotions often had to customize their faces with a sharpie. But in these themes, there are usually at least four facial expressions to choose between for the lead characters. And if kids, as you speculate, "have difficulty to swap out heads or even rotate them", then why did LEGO ever begin printing so many double-sided heads to begin with, even in largely kid-targeted themes like Exo-Force, Agents, Power Miners, Atlantis, Ninjago, Legends of Chima, and Nexo Knights? How would that be "making them more money"? I have never heard of ANY collector, no matter how obsessed, specifically seeking out multiple copies of the same minifigure just so they can display one with the front face print showing and one with the back face print showing. The idea that alternate faces are a "cheap and lazy way to make more money" falls apart when it suggests LEGO taking on additional costs, even small ones, that from what you're assuming shouldn't make the sets any more playable OR collectable. Never mind that in my own childhood experience, customizing minifigures — whether just by swapping out the heads or by making much more extensive changes — was a big part of what made them so much fun, well before the idea of "collecting" them even registered with me. Even back in the early 90s when there were so many fewer facial features to choose from, you could still make a basic smiley-face character :) look cooler and more confident, if you gave them a smiley face with sunglasses B) , or "disguise" a character by giving them a wizard beard. Why would kids today be any less likely to play with minifigures in this way now that there are so many more minifigure parts to choose between? I mean, LEGO designers surely ought to know what ways kids play with their sets, because they conduct extensive play testing with basically all of their themes specifically to figure out what types of features enhance kids' play experiences. 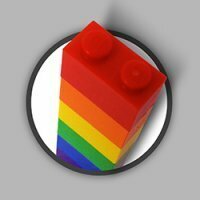 Having said that, I find nothing more frustrating than reading a user ‘review’ on Brickset (or anywhere) that spends 4/5th of the text going into minute detail on every aspect of the minifigures, then quickly mentions right at the end that there was some Lego included and the build ‘was great’. I get frustrated by this too, but at the same time, I think it's worth keeping in mind that sometimes more information about the build is omitted for other reasons than the reviewer or their readers not considering it noteworthy. As strange as it sometimes seems to me, I've seen people get legitimately upset at reviews that talk about the building experience in great detail, because they see it as "spoiling" the surprises that they would experience when they get around to building the same sets themselves. I get the occasional CMF for myself or my daughter based on what appeals (and certainly don’t collect whole runs of them), and generally appreciate the minifigures in the sets I buy, but I can’t think of a single set I have bought where the minifigure(s) feature in my decision to purchase at any point. I think the only time I feel like I ‘missed’ a minifigure is in 7725 (see my review linked in my signature) - a set that calls itself a ‘passenger train’ but doesn’t actually include any passengers!! In my case the minifigures certainly impact my purchasing decisions, but rarely to a point that I ONLY want the set because of the minifigures. This is because from my experience, MOST sets are interesting and appealing on some level, particularly those in the themes I'm most drawn to like Ninjago, Elves, and the movie themes. So when I know that basically any set on my wish list will offer me a rewarding experience, often a good way to narrow it down and keep from overspending on this hobby is to prioritize the sets that would get me minifigures I don't already have. That said, that's far from the only condition that decides which sets I get. In a lot of cases, the cheapest way to get all the figures from a particular theme I enjoy would mean missing out on stuff that's just as cool to me if not more so, like certain buildings, vehicles, or brick-built animals/creatures like dragons. And frankly, unless a person literally has no idea that they can buy minifigures individually on sites like BrickLink or at conventions for less than the full cost of the set, it's safe to say that any set they've chosen to buy "for the minifigures" also appeals to them in other respects, even if it's just that it would look nice on a shelf or has a nice value in parts they can use in future MOCs. This is exactly the same thing I was talking about earlier with the Thor vs. Hulk set. The critics of this set (you included) are the ones who are putting the minifigures on a pedestal and ignoring everything else about the set, not the kids or designers. The Hulk vs. Red Hulk set, from many AFOLs' perspectives, may be just an overpriced minifigure pack with a bunch of useless filler bricks. To many kids, though, the idea of two huge, rugged, all-terrain, Hulk-sized vehicles with bright colors and lots of play features is most likely a source of appeal in its own right. There have been plenty of sets in themes like Agents, Ultra Agents, Racers, World Racers, Rock Raiders, Power Miners, Aquazone, Atlantis, Bionicle, Time Cruisers, and so on that included similar goofy, over-the-top, gimmicky vehicles, yet which clearly weren't designed with adult minifigure collectors in mind. Many adults similarly dismissed those sets as overpriced, nonsensical garbage, but clearly at least some of those types of themes resonated with kids all the same. So why is a set similar to those, but with characters who adults and kids alike are more likely to know and care about, assumed to be aimed at adult minifigure collectors at the EXPENSE of the younger audience that has previously enjoyed similar sets? Furthermore, the designer of that set was Justin Ramsden, who's designed many sets that far more adults appreciated for their building experience and display presence. If LEGO had wanted him to create a Hulk vs. Red Hulk specifically to appeal to older buyers and collectors, he absolutely could have done so with a better price per piece, a more serious-looking design, and possibly even with lower production costs. It'd be another matter if the build seemed like it had been designed for different characters and then had some random Hulks and She-Hulks thrown in to make an entirely unrelated build seem more interesting. But the design of the crash feature and the proportions of the vehicles couldn't be more obviously designed specifically to seat two Hulk-sized bigfig occupants, and the task of creating the set was specifically assigned to designers who were at that time working on the Super Heroes team. It's crazy that AFOLs see all those features that clearly have no value to most adult fans and collectors, and tend to alienate even those who ARE interested in obtaining the figures, and still assume that LEGO added all those features specifically to make the set's intended audience pay more to enjoy the product less. It's not about the cost of "modifying a print template", it's about the logistical cost of introducing new elements willy-nilly. Oh, please! That's the same lame argument over and over again. For the life of it: LEGO's primary business is selling plastic toys. Or are you trying to tell me that they are actually a super-secret space science company only doing that brick stuff on the side to finance their projects and they need to set aside extra resources and personnel? It's their everyday thing and they sure should know how to plan their contingencies and processes! And if you think LEGO have it tough, then please have a look at any reasonably complex industrial manufacturing process where millions of parts need to be managed to just build a single machine. Sorry, but you are inflating this argument just for the sake of it. Yes, logistics and production planning cost money as does the actual production, but if there were any truth to your "it's extremely complicated", then literally nothing ever would get done anywhere and we'd not be living in an industrial age. Seriously: Having a hundred different figure heads is no different then dealing with a hundred different types of screws. Unless you are telling me LEGO are grossly incompetent in managing their supply chain, then this is literally nothing. It happens millions of times every day in millions of companies across the globe. First off, I am not tryng to alienate anybody from enjoying minifigures. It's great that they can enjoy something that I can't enjoy as much. But that doesn't mean I created this topic to stop people from liking minifigures. I just wanted to create discussion, that is all. LEGO manufactures a huge number of parts for their various themes. Nothing I've said implies the cost of putting new elements into production is something they haven't learned to manage. But with finite manufacturing resources and a potentially infinite number of new elements they COULD produce, they're not going to waste the budget they have on elements that none of their customers or potential customers actually value. Which is what you seem to be implying when you keep insisting, without a shred of evidence, that kids have no interest in swapping or rotating minifig heads when playing, and yet that LEGO is somehow still boosting their sales by introducing minor facial variations that, by your argument, kids don't have any use for or interest in, and collectors just see as a pointless and frustrating obstacle standing in the way of a complete collection. What's more, plenty of posts by and interviews with designers, as well accounts in Brick by Brick of the out-of-control costs of new elements that helped LEGO to the brink of bankruptcy in the early 2000s, and the restrictions on new elements introduced during their recovery process (pages 110 to 115 if you're interested) speak to this being a real concern for the company and one that could send them to financial ruin if they didn't take it seriously. But I guess because you're some kind of brain genius and expert on all things related to manufacturing, you know your speculation about what stuff should cost LEGO internally is infallible, and thus that literally every statement ever made about the dangers of frivolously introducing new elements, or the difficult judgment calls about which are most useful or necessary and how much of a budget can be assigned to any given theme, are all lies. Maybe LEGO really IS spending money on new parts and graphics that nobody but the most obsessed collectors care about. instead of ones a mainstream kid audience would actually like, and somehow making more sales in the process. Who am I to question such ineffable brilliance? I believe you misread my post. I'm not saying YOU'RE alienating anybody. But in your opinion, LEGO makes a lot of terrible sets and puts desirable minifigures in them. If these sets are truly so terrible and ugly that nobody would want them without the minifigures, and even some people who DO want the minifigures would rather skip them than pay extra for the rest of the set, then those SETS are alienating buyers. So why is LEGO paying people to design those sets instead of just tossing the minifigs in a box of generic loose bricks and putting that on a shelf instead? Which do you think is more likely? That LEGO designed the Hulk vs. Red Hulk set for minifigure collectors despite purposely making the build something that would make minifigure collectors enjoy it less? Or that they designed the set for kids who would enjoy both the figures AND the build, and that AFOLs are just wrongly assuming that because they don't like anything about it except the figures, nobody else could either? I'm middle of the road on this since I'm not a completionist; I like minifigs just fine, but I don't buy a (higher-priced) set just for a particular minifig nor will I purchase them individually for a crazy mark-up, but there are a few that I've purchased and I do pick up a good portion of the CMF line. This describes me pretty well, too. I often sell the minifigs from especially licensed sets on Bricklink, keeping the build to myself. This helps me reduce the cost of the LEGO I buy, ultimately meaning that I can afford more LEGO. Unlike AFOL-created sites like BrickLink, on which minifigures with even slight differences tend to get entirely separate listings, LEGO never makes any noticeable effort to promote or advertise the fact that the Batman minifigures in 70900, 70901, 70905, and 70915 are at all different. TLG doesnt have to promote these differences exactly because they know websites like BrickSet.com and other AFOL-targeting sites are going to mention the small changes in minifigs in their set reviews, else it would be poor reviews ... You do know TLG is always sooooo kind to provide these websites a free copy of new sets just a week or two before the're in stores, right? So TLG is very clever not to burn their hands on promoting or advertising things that don't matter to kids, but no doubt it is big business to them (and to many of the AFOLs). Sure. What I've been saying all along. Got to say I agree here. When I was a teenager I was all over collecting individual figures, but I think I've chilled out a bit. Sometimes I buy a set because of a figure (Aayla Secura in the Hovertank, Benny's Space Squad) but I am not a hellbent completionist like some are. I do empathize, though, considering I used to be that way and I do maintain a stamp collection on the side. That said, I think the only figure I've gone out of my way to purchase was the Revan polybag, and I am quite happy to buy a set for the build rather than figs. Aside from Star Wars, the theme in which I am most heavily invested (financially and MOC-wise) is Architecture, which has no figures at all! But I feel like this is a “he/she isn’t buying/using Lego sets for the same reasons that I’m buying/using Lego sets” Some will buy sets for minifigures. Others will buy for parts. Some will buy for the set as a whole. Like others, I also like minifigures I wouldn’t say they were over rated. 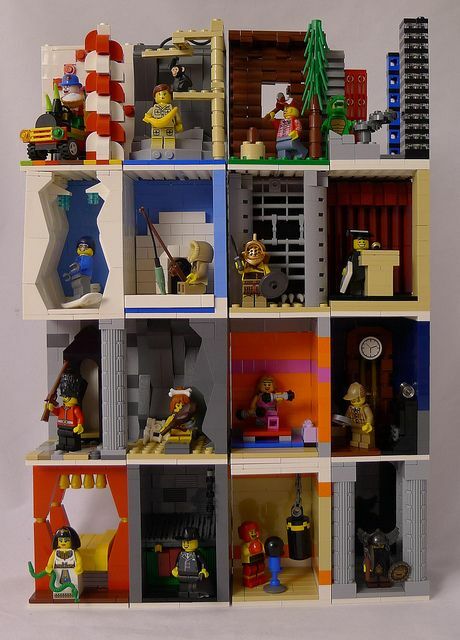 A modular building for example, doesn’t HAVE to have minifigures. It can still be a good set without them. But having them there adds a little life to the set. I’m sure many kids like creating stories with them or just adding them to their overall Lego city. Yeah, I see this gatekeeping complaint frequently. It doesn't matter how people buy and use Lego sets, as long as there's one for me to buy if I want it! 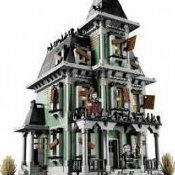 As it pertains to modular buildings, while figures are not the USP of the line, I do think they are necessary to complement the flavour of the builds, such as the veterinarian over the Corner Garage or the chef in Chez Albert. With a few exceptions, I prefer to make my own custom characters. So while I appreciate a variety of prints, colours, accessories and hairstyles, I do not like the price inflation minifigures cause for a set. However the collecting of figures is a current obsession for people (Explaining why Funko Pops) so that is what we get. 1. ) Minifigures are a great collector item. - everyone loves Lego because of their childhood. That's a big bonus most other merchandise producers don't have. - the cartoonish style is adorable and speaks for itself. - It is cute and simplified. So it fills the gap between picturing a character in a natural way (I would not want a statue of a naturalistic Medusa for example) and very abstract versions like funkopop figures, which many people including me don't like. There is not many competition in this particular space between both. That way you don't have much choice, if you want to be able to you put a Scooby Doo figure next to Gimli while it still looks fitting and represents the characters well. - Because everything is cute (even Orcs, Sauron's Mouth or Davy Jones) the tolerance of a potential girlfriend or wife is much higher, too. I don't say it is a reason to collect in the beginning but because of that many people would not buy for example film swords and have more money to spend on a 30€ Merry from the Lord of the Rings (got mine for 10€. They aren't that expensive if you are patient and not buying everything from the first seller on ebay). - the scale is allways the same. Many people (myself included) don't like the size differences between collector statues. - You can fix it easily, if you don't like anything about the figure. I put a lot of work in my custom printed parts, own and 3rd party custom parts and stuff. It is a great hobby by itself. I could not do that stuff to most statues or action figures like that. - the size allows even students like me with little space to put a fellowship of the ring in their little display. => to me they are perfect as a collector item and a hobby by itself especially if you are open to customisation. The cmfs and many sets are priced that way and left the cathegory of a kid's toy long ago. I don't say, thats good or bad. It is a fact. Personally i am buying figures or vehicles from sets separate, if I have no use for 95% of the stuff. It is better to pay 12€ for Firefly with his Jetpack than 40€ for a whole set with 2 other characters I own better versions of already and 2 mechs I would not want for free and can't have in my room. I buy much less figures and bricks than most people here but if I really love something (like Poison Ivy, Bane or the Riddler with his stick from the tlbm sets or now the new head and headgear of Catwoman to upgrade my figure of her) i will get it. I am happy that way and spend probably much less money than normal set buyers without loosing anything I care about or having boxes full of highly special parts in strange colours, I will never use. If you are really into it, you can put at least that much time on a custom figure like on a MOC. My building activity is centered around the figures. I try to get the best Batmobil for the one Batman i have. I build on a Moes Tavern fitting the figures and other buildings. That brings me to the second part of my comment. Of course Lego is a construction/ building toy. But the big lesson from Lego's problems in the 90s was "we need to put stories into our bricks". The role-playing aspect is essential - maybe not for all but really many if not most children. As a kid i spent hours with building tempels with traps to explore them with Johnny Thunder. I probably spent more time building than role-playing, but if I had no explorer minifigure I would have had no reason to build the temple in the first place besides looking at it for a few minutes and than putting the bricks back in the box. The cool thing was the ability to build worlds to play in them with your figures. If there were no minifigures, you could forget about most themes targeted at kids except speed racer cars and the creator sets, which are animals, robots and vehicles... and i guarantee, even these would loose many customers, which are implementing these sets without figures into their world for minifigures from other sets. I would say: Minifigures are not overrated. Some are overpriced for a toy, but certain sets like the 400€-Hogwards Castle or the cmfs are clearly no toys anymore so I would separate these from regular city sets..
That's true. And especially since more and more modular buildings are getting balconies and open roof spaces the build feels empty without them. To be fair it's a little more than just that. Sure some bulk buy CMF bags in boxes. 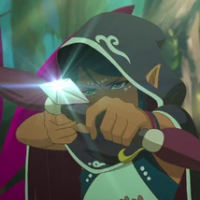 But people use different techniques to acquire specific figures. (Namely feeling for certain parts and bump bodes but I'm sure they're other methods out there). But whose to say that CMF minifigures cannot be connected to Lego sets? It's not like when you buy CMF bags Lego tells you that you can't place them in sets or that you can't mix with other themes. Even the description on the Lego website encourages kids to incorporate CMF's into existing sets. "LEGO® Minifigures bring new play possibilities and open-ended creativity to existing LEGO sets. Children love to collect and bring inspiring new characters into their LEGO universe, where they can play out their own imaginative stories and scenes from their favorite LEGO movies – such as the amazing THE LEGO MOVIE 2™." If people like them, they shall buy them. For me, most of the modern minifigs appear ugly.